If you are looking for the best value in a compact zero-turn mower, look no further than the Ferris IS® 700Z. Featuring our patented suspension technology, iCD™ cutting deck technology, heavy-duty Hydro-Gear® drive system, an engine purpose built for a zero-turn application and mowing speeds up to 16 km/h. This mower is full of features to provide maximum productivity. The IS® 700Z is capable of tackling tight places, providing maximum maneuverability and productivity. You’ll mow more lawn in less time. The IS® 700Z Series, with up to five feet of cutting width, is an amazing value! 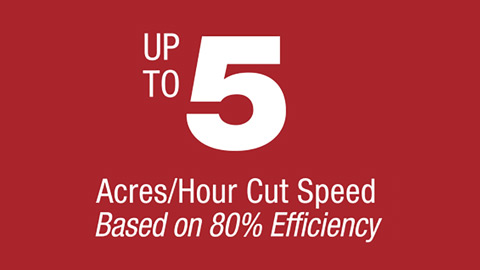 Featuring our patented suspension technology, iCD™ Cutting System, heavy-duty Hydro-Gear®drive system and up to 10 mph speeds this mower is full of features to increase the operator’s productivity. You’ll mow more lawn in less time. 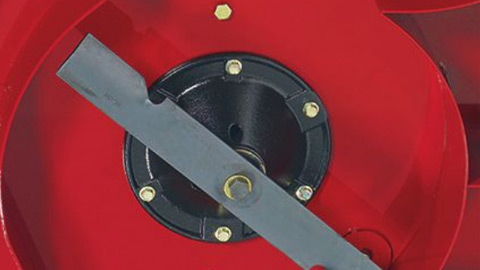 The iCD™ Cutting System with long-lasting Marbain®steel blades delivers maximum cutting performance and enhanced discharge through the generous deck opening. Our patented suspension system allows each wheel to move up and down independently smoothing out uneven turf. 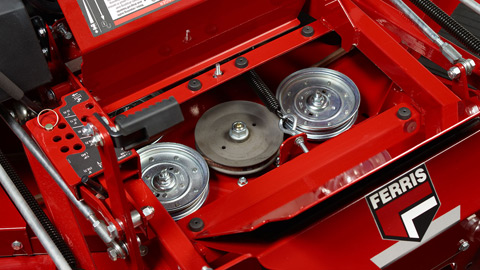 The deck of the mower works in conjunction with the suspension system to provide a consistent cut. 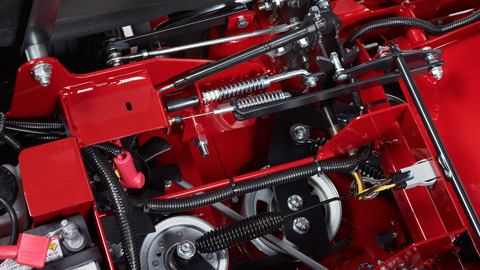 This system virtually eliminates shock to the chassis, resulting in superior operator comfort, increased mowing speeds, stability and extended mower life. 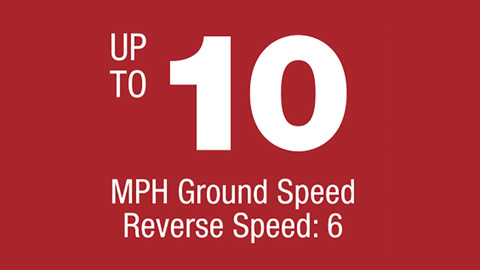 No matter if you’re a professional cutter, weekend warrior or discriminating buyer, Ferris zero-turn mowers with suspension will give you a measurable improvement in your mowing efficiency. 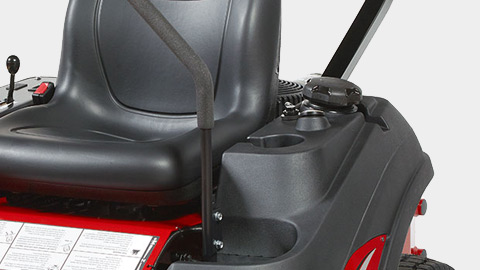 The smooth ride will enable you to get more done in less time than conventional mowers. A Ferris mower can help you finish your job faster, boost your productivity and produce beautiful results. 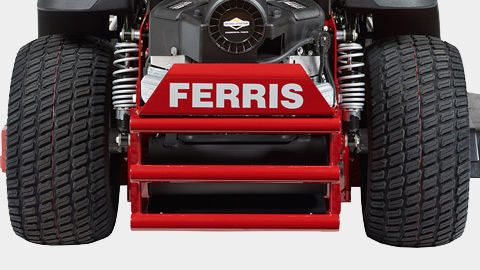 Ferris zero-turn mowers are the only commercial mowers that feature a suspension system that was developed by engineers with landscape contractors’ needs in mind. We didn’t just mask operating vibration with a special seat. These mowers were built from the ground up to be the hardest working and smoothest riding in the industry. Operators experience less fatigue while tackling tough jobs. Our patented suspension technology provides exclusive benefits that maximize productivity for years to come. 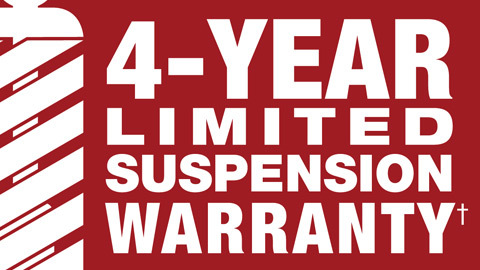 Each customer has different needs, so Ferris created the 2+2 Year Limited Warranty. One simple warranty covers all our ride-on, zero-turn and 3-wheel front deck mowers for four years (48 months) or 500 hours, whichever occurs first. During the first two years (24 months), the mower is covered for unlimited hours. Belts, tires, brake pads, battery and blades are covered for 90 days. 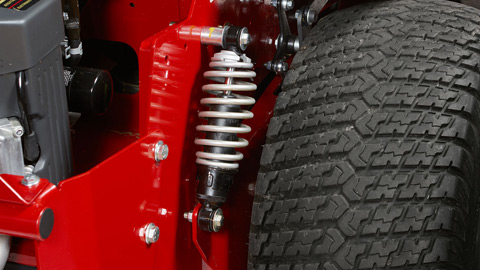 In addition, coil-over-shocks and all suspension-related components are covered for 4 years (48 months) unlimited hours. We are committed to providing performance, productivity and durability. †See dealer for warranty details. Refer to engine operator’s manual for engine warranty. The more productive you can be the more time you will save and the more money you can make. 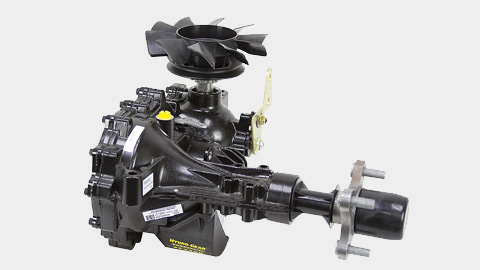 Insulated from these effects, the operator naturally increases speed, taking full advantage of available horsepower. The result: More acres per hour and more money in your pocket. 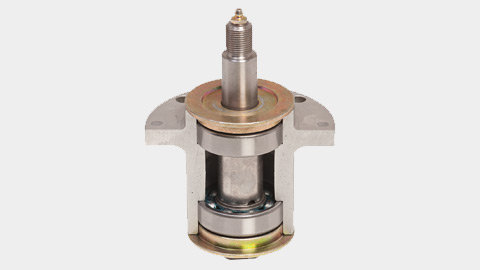 Ferris’ exclusive suspension system absorbs the shocks and vibrations that cause operator fatigue. The increased comfort translates to operator satisfaction and increased productivity.